Take a closer look at the bold renovation projects that are transforming Geisel Library. Expand the sections below to read more about and view images and renderings of active and completed projects. 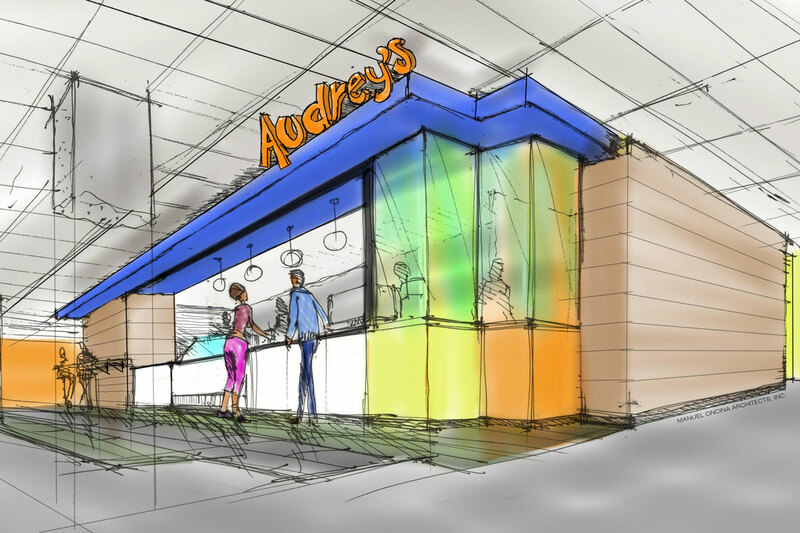 Thanks to a generous $3 million gift from longtime UC San Diego Library supporter, Audrey Geisel, the Geisel Library Revitalization Initiative began in December 2015 with construction of Audrey’s Café (named for its benefactor and wife of the late Theodor Seuss Geisel—aka, Dr. Seuss). 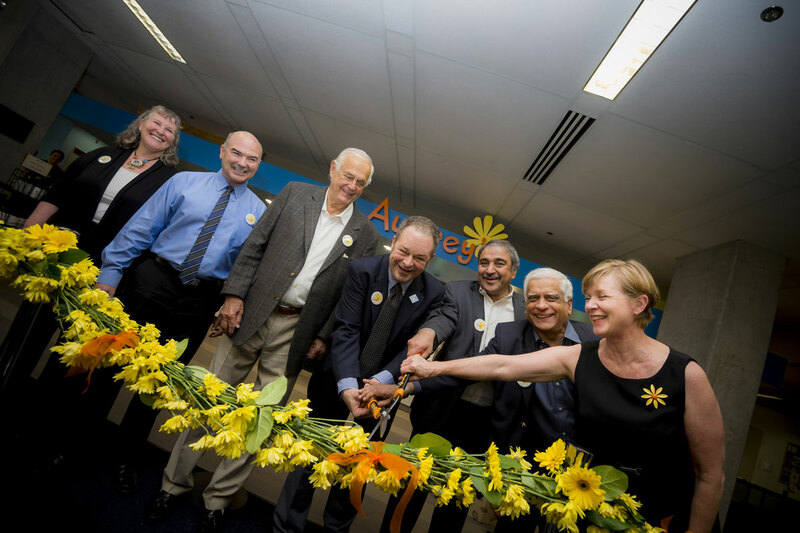 The café opened on May 3, 2016 with a Seuss-inspired ribbon cutting event with Chancellor Pradeep Khosla, former University Librarian Brian Schottlaender, and other campus leaders. 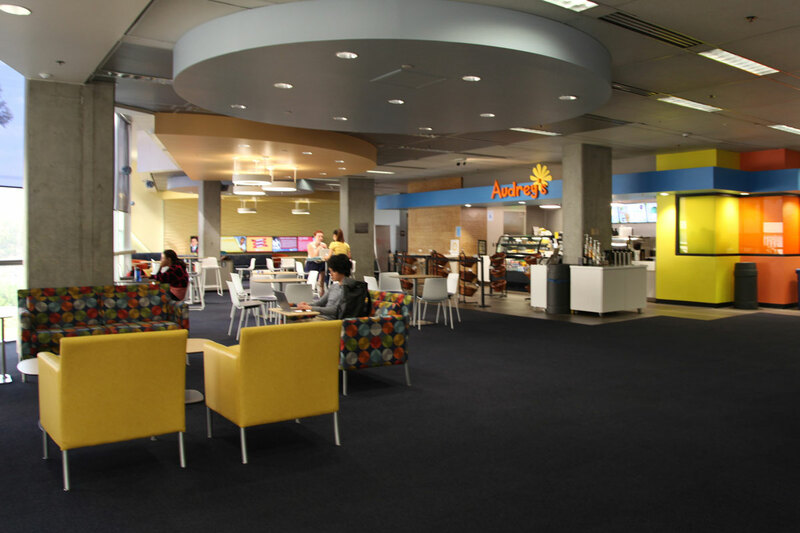 Located on the 2nd (main) floor of Geisel—the Library’s most active floor that is home to the 24/5 East Commons—the café and lounge are utilized by students and the campus community daily. 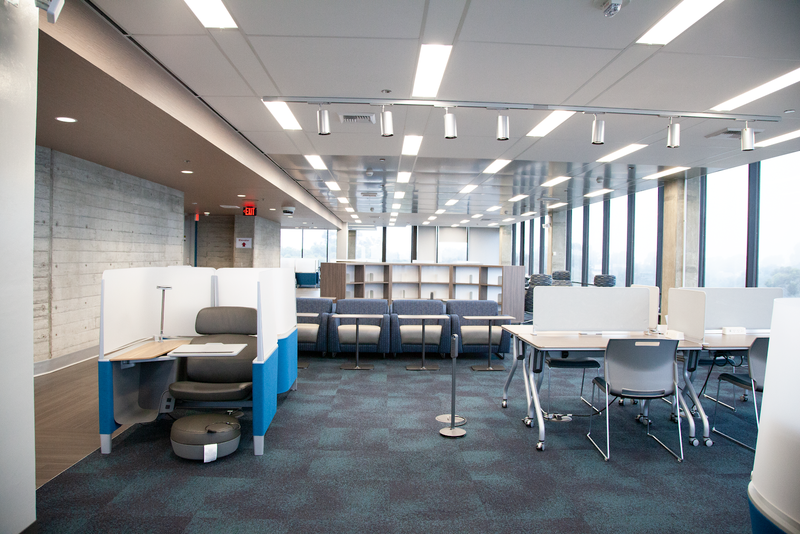 The renovation of Geisel Library’s top (8th) Floor marks the completion of the second phase of the Geisel Library Revitalization Initiative. The Floor was designed as a space for individual student study, with the ability to host special functions—including, Dinner in the Library—and other select engagements such as author talks and donor events. 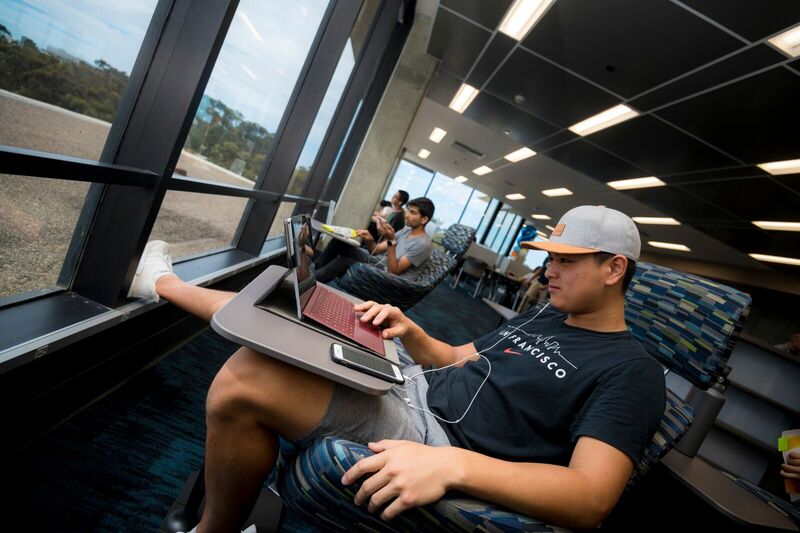 With a contemporary take on modern, and exposed concrete themes, the finishes and furniture evoke a sense of ‘clean and contemporary coastal environment’ while blending with the iconic architecture of Geisel Library. Executive Vice Chancellor Elizabeth Simmons and University Librarian Erik Mitchell officially reopened the floor on October 1, 2018 with a special ribbon cutting ceremony and day-long activities on the floor for the campus community. 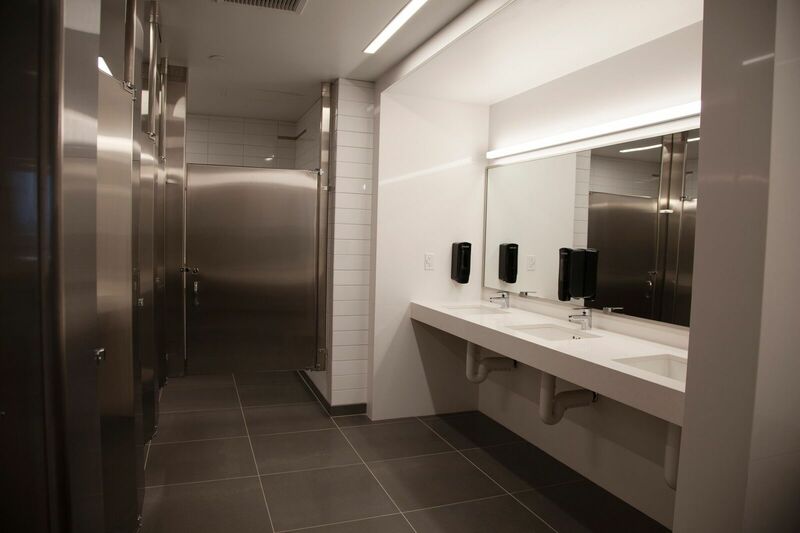 The restrooms on Geisel Library’s floors 4 – 8 received a much needed upgrade in 2018. In addition to renovating and enlarging the existing facilities, new ADA-accessible and gender-neutral restrooms were added to each floor.